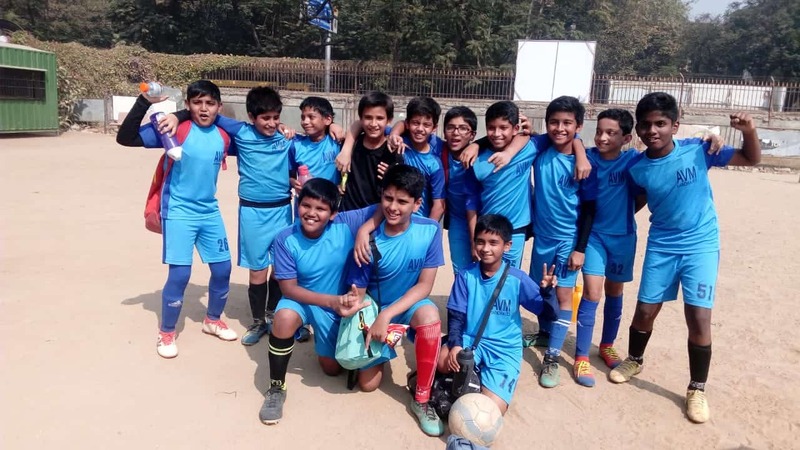 The U/12 Boys Football Team ‘A’ of V.C.W Arya Vidya Mandir won their first math of the MSSA Football Tournament 2nd Division on 10th January, 2019. The match was played at the MSSA Grounds, Marine Lines against Lilavatibai Poddar High School. The team won the match with a score of 2-0, captained by Mst. Aaditya Paranjpe and the two goal scorers of the match were Mst. Aarin Bhuta and Mst. Aniruddh Parulekar. We wish them luck for their upcoming matches.